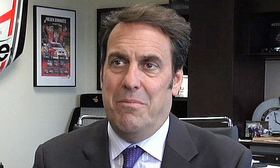 DETROIT — Mark Reuss now has his father's old job. His assignment is to make sure it won't be his father's General Motors. Reuss' appointment as president of GM last week caps a year of executive realignments designed to position the company for a wrenching restructuring that calls for not only staff and capacity cuts, but wholesale changes in how GM does business, from headquarters to r&d labs to the factory floor. Aside from the title change, the 55-year-old Reuss will assume responsibility for GM's quality organization from CEO Mary Barra. The promotion gives Reuss complete oversight of the vehicle side of the business. And it signals the urgency with which GM is pursuing its mission to prepare for potentially transformative change in the auto business. Reuss, a 35-year GM veteran whose father, Lloyd Reuss, was president from 1990 to 1992, described the appointment as "truly a great honor." He succeeds Dan Ammann, 46, who on Jan. 1 became CEO of GM's Cruise autonomous vehicle unit in San Francisco. "Mark has played a critical role in leading the development of the company's award-winning vehicles while transitioning his team to prepare for growing electrification and autonomous technologies," Barra said in a statement last week. Reuss' responsibilities as president will be more product-focused than Ammann's were. Barra will retain direct responsibility over regional operations across the globe and GM Financial, while CFO Dhivya Suryadevara will continue to oversee corporate development — previously all responsibilities of Ammann. Reuss had already taken over responsibility for Cadillac and global portfolio planning from Ammann in June 2018 and quickly began restructuring the product side of the house — a vast network with 32,000 employees that includes r&d, engineering, design, safety, quality and product planning — to focus more resources on autonomous and electrified vehicles. That transformation will continue, if not accelerate, as GM plans to launch at least 20 new battery-electric and fuel cell vehicles globally by 2023. Reuss has said GM is doubling the resources allocated to electric and autonomous vehicle programs in the next two years. The reorganization has been mirrored across the company with many top lieutenants of Barra and Reuss refocusing on autonomous and electrified vehicles. The efforts are meant to fulfill GM's "triple zero" vision of a future with zero crashes, zero emissions and zero congestion. One of the most high-profile moves was the appointment of Pam Fletcher, vice president of global EV programs, to the new position of vice president of global innovation and r&d laboratories in October. For more than a decade, Fletcher has been in leadership roles supporting the engineering of GM's EV and self-driving technologies. In her new role, in which she reports to Barra and Reuss, she is leading the teams at GM "whose mission is to disrupt the traditional automotive industry," according to her GM profile. That includes directing seven r&d labs around the globe that are focused on technologies such as battery chemistry, mixed-materials science, smart manufacturing systems and vehicle-to-infrastructure communications. Other moves included Doug Parks' role as vice president of autonomous and EV programs expanding to include Fletcher's EV responsibilities; Michael Ableson, GM vice president of global strategy, moving to the new position of vice president, EV infrastructure; and changed assignments for several other vice presidents in the Global Product Group. The last major overhaul of GM's product development operations, led by Barra and Reuss, came nearly five years ago, as GM responded to the ignition switch crisis that was linked to 124 deaths and was facing stricter oversight from federal safety regulators at NHTSA. At that time, Reuss said the new structure would have "a militaristic zeal for preventing and resolving" issues like the defective ignition switch before they occurred. That commitment hasn't changed with Reuss taking over quality from Barra, said spokesman Mike Albano. Quality and safety remain "paramount, and that will never change no matter the organizational structure."